Electric car sales climbed by 65 per cent in 2018 and reached the 2.0 million unit mark, as preliminary numbers suggest. This corresponds to a 2.1 per cent share of global car sales. 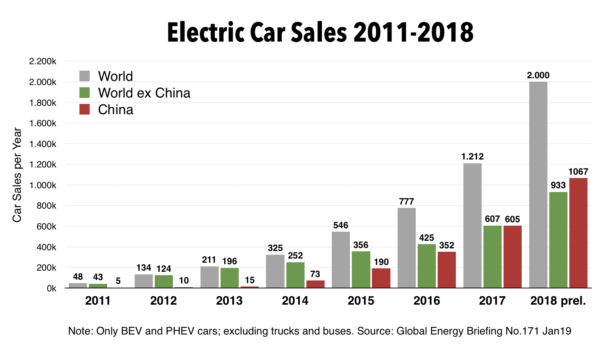 China´s EV market share climbed to 53 per cent, i.e. 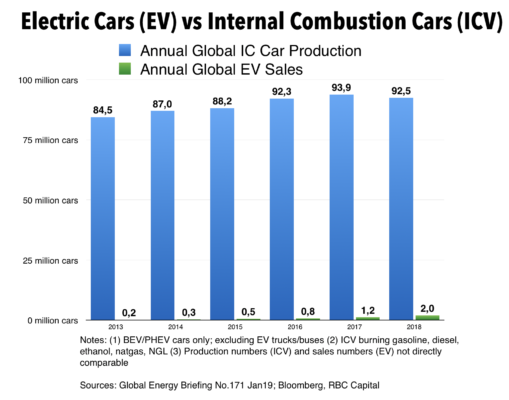 the country sold more EVs than the rest of the world.